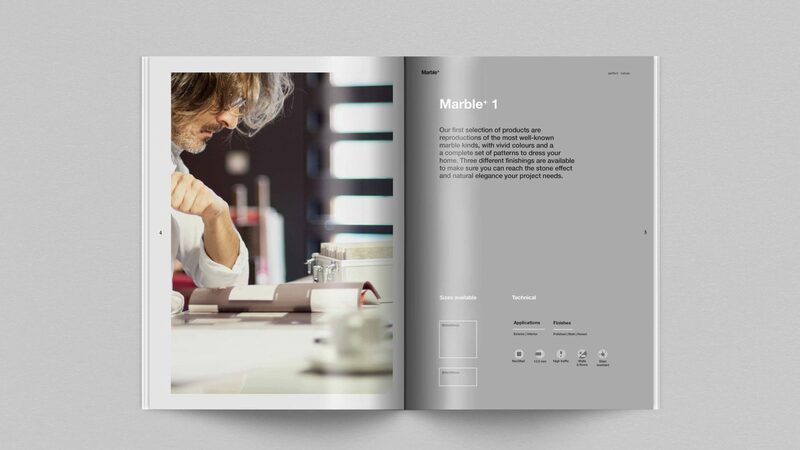 We developed a full campaign for the relaunch of Dongpeng´s range of products, Marble+. The goal was to highlight the features of this premium product appealing to the target and catching its attention through a bold campaign. 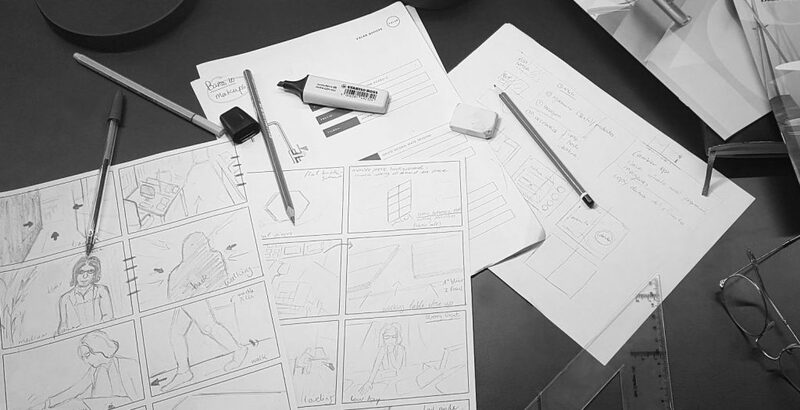 We managed from rebranding, production of advertising video to the design of all its promotional tools. 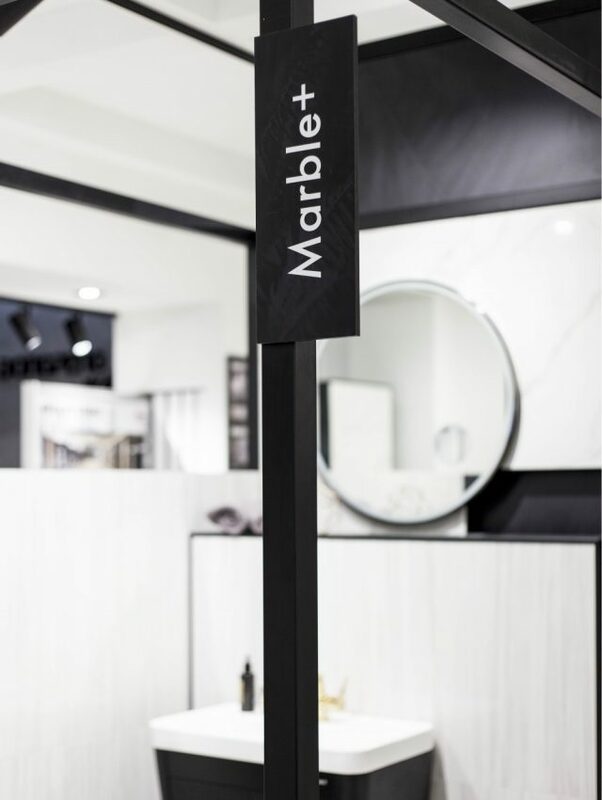 Marble+ is a range of premium porcelain product of Dongpeng with an outstanding decorative effect of marble. 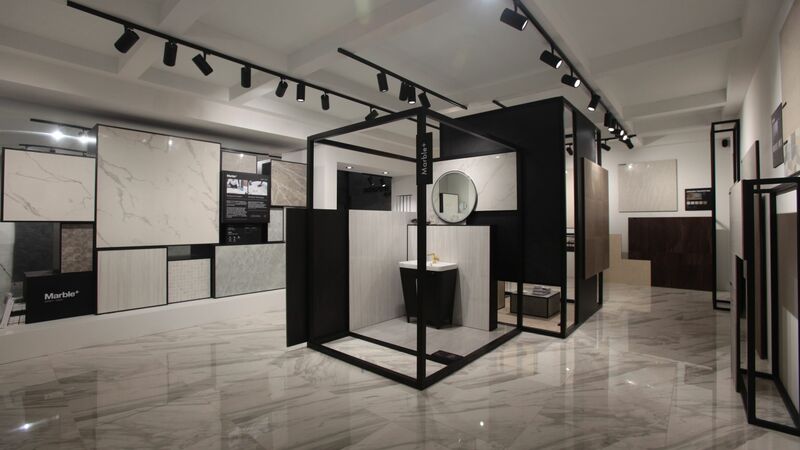 High performance and eco-friendly product that include incredible details and uniquely veining produced on every tile thanks to Dongpeng´s advanced technology. The superior technical features of the product makes it suitable for exterior and interior applications and offers a lot of options for architecture and interior design. 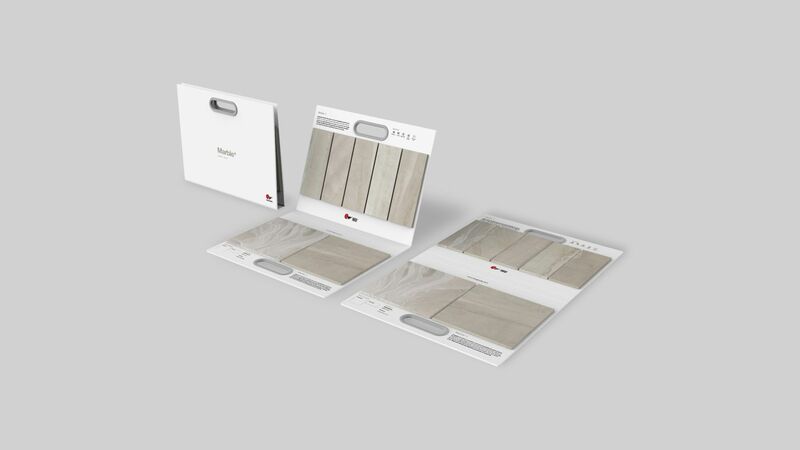 That´s why this product is aimed on the contract market, prescribers and especially architects. 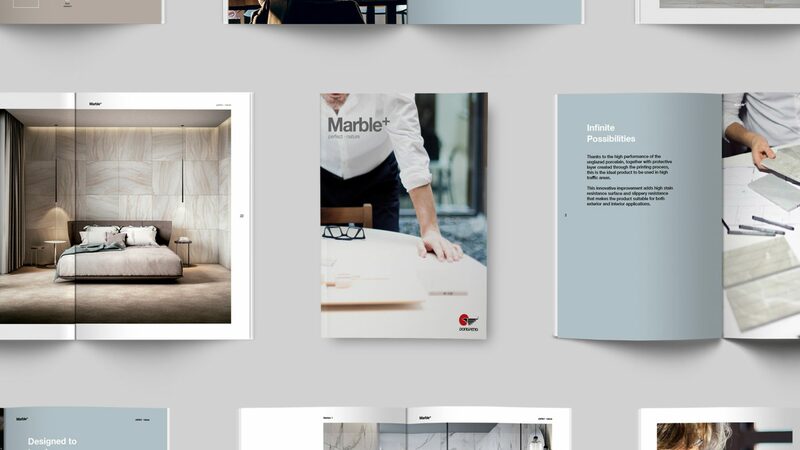 The product need to be recognized for its target so we planned a bold campaign for Marble+ and started with a rebranding and a new aesthetic using a simple palette in greyscale, focusing the communication to the direct messages created for Marble+. 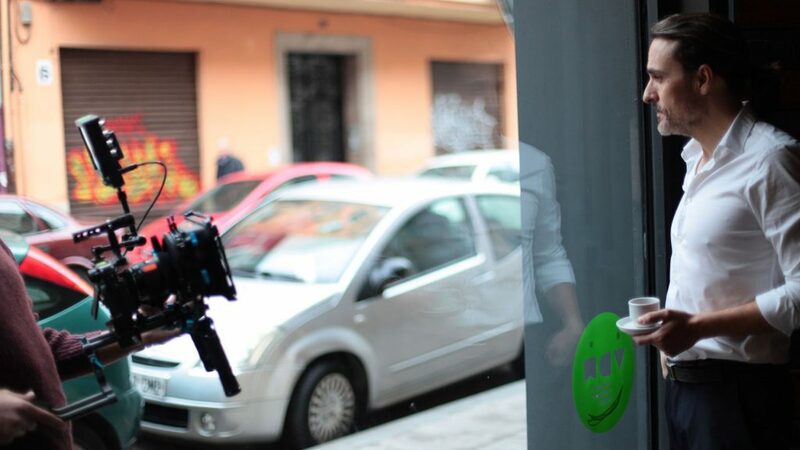 The start point of the campaign was the commercial video. 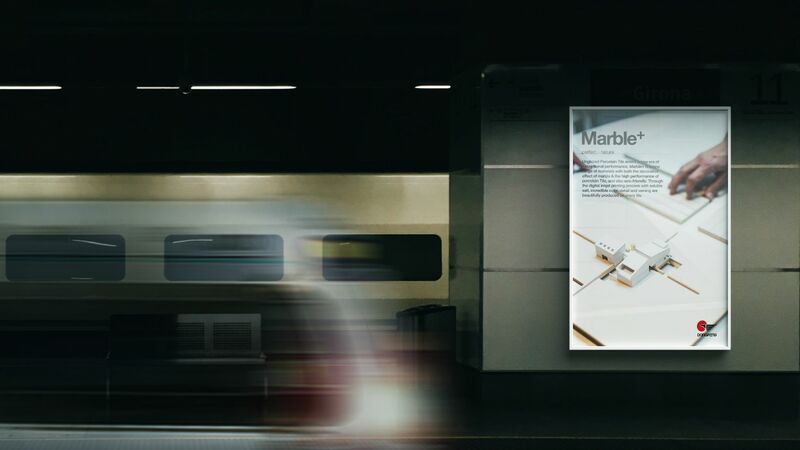 We decided to record a commercial to direct the messages to Marble+ target, making them feel represented in the video. 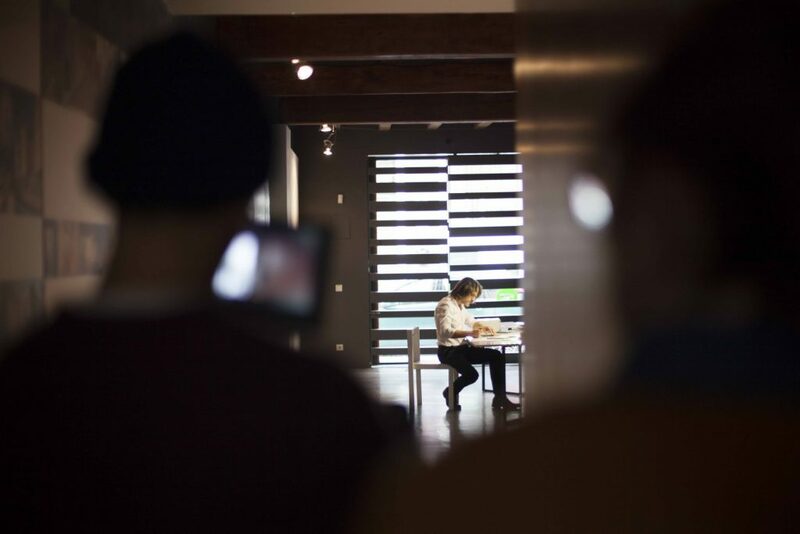 The solution was filming the commercial in the architect studio, the perfect location to praise the infinite possibilities and strengths of the product communicating them through a real architect voice and opinion. 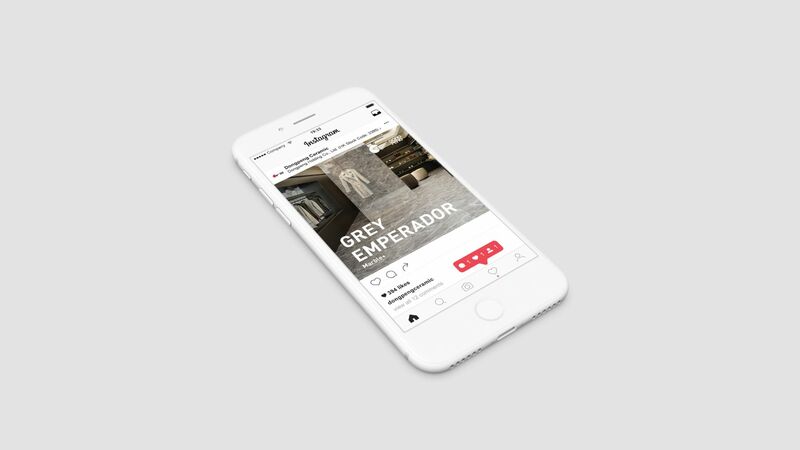 Based on the commercial production we focused the efforts on designing a complete set of product promotion tools also created to be ideal for architects and prescribers. 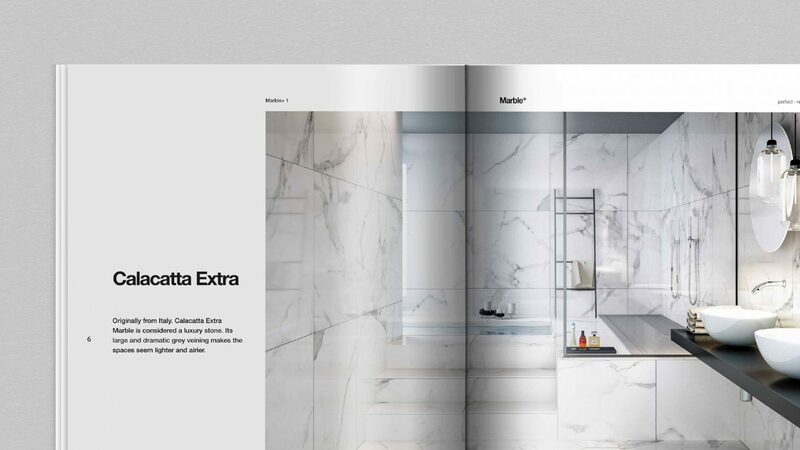 Its new catalogue includes all the collections of Marble+ and appears surrounded by the campaign content, such as copy and images. 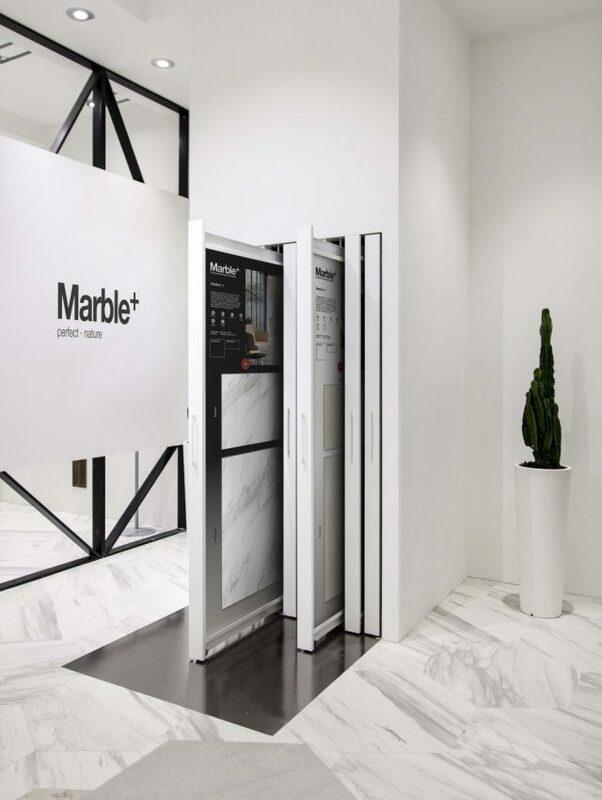 We also designed a tool specially for the target: the achictect box, that included all the samples and information about Marble+ products. Folders and desk tool were also designed following the graphic bases. 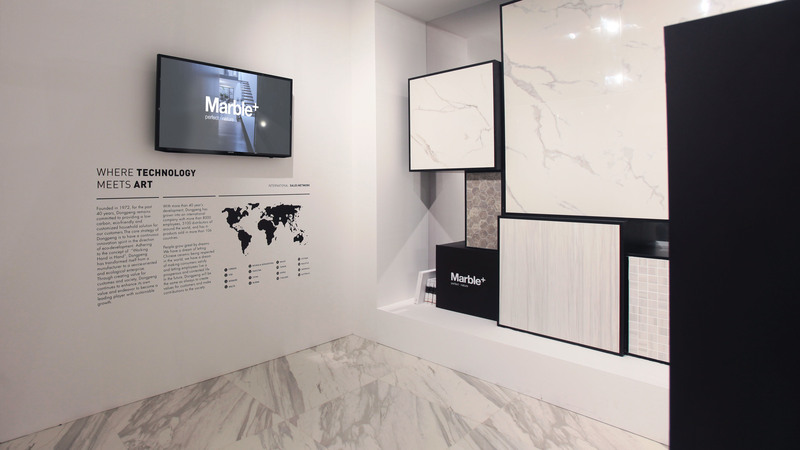 As a part of the campaign, we designed outdoor advertising applications and also, created a Marble+ zone for Dongpeng’s stand at Cersaie 2017. We run an exhaustive interior design for Dongpeng, showing the stand as an elegant Asian resort with a Balinese atmosphere. This is reflected in the meeting area with a warm and intimate ambiance. Nevertheless, the exhibition space was inspired by an art gallery.